NORAM Completes Acquisition of ECOfluid – NORAM Engineering and Constructors Ltd.
NORAM has increased its majority interest in ECOfluid Systems Inc. and ECOfluid Technologies Inc. by acquiring all the remaining outstanding shares. The ECOfluid companies will retain their structures as wholly-owned subsidiaries within the NORAM Group of companies. 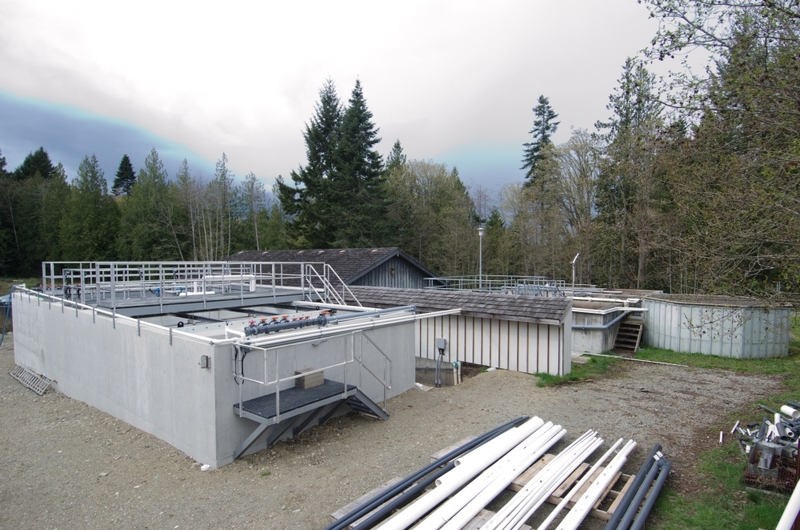 ECOfluid, a BC-based provider and operator of small wastewater treatment plants, has become an industry leader in the supply of both municipal and industrial plants for small to medium communities and off-grid applications. ECOfluid has continued to innovate, and its highly-acclaimed and patented Upflow Sludge Blanket Filtration (USBF®) technology has been supplemented in recent years with other packaged treatment processes, including membrane bioreactor (MBR). Since 1995, ECOfluid has provided over 150 advanced wastewater treatment systems to municipalities, resorts, residential developers, First Nation communities, and industry. Typical plants range in capacity from 50 m3/day up to 4,000 m3/day. Mill Springs Village WWTP in Mill Bay, BC. A 2015 expansion increased the plant capacity to 400 residential units equivalent.